Custom Homes to meet your unique tastes. Enjoy yourself in the perfect neighborhood with relaxing views, and beautifully crafted homes made for you. 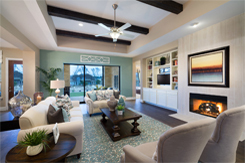 Lakeway homes designed with you in mind. Western Window System series 600 multi-slide doors. Moving walls of glass expand living space and invite your guests to enjoy the outdoors. Energy Efficiency: All doors include thermally broken aluminum frames and panels, which dramatically lower energy costs. All glass includes high performance dual pane LowE. Ease of Operation: Despite their massive size, all doors glide open with ease by use of the Western Window System tandem stainless steel ball bearing rollers and hardware that is designed to last a lifetime. The most popular trend in construction is indoor/outdoor living. Professional Builder February 2013 article.